This IP Core is no longer available for new designs as the TI’s USB 3.0 PHY (TI1310A) is discontinued. For any query, contact us. 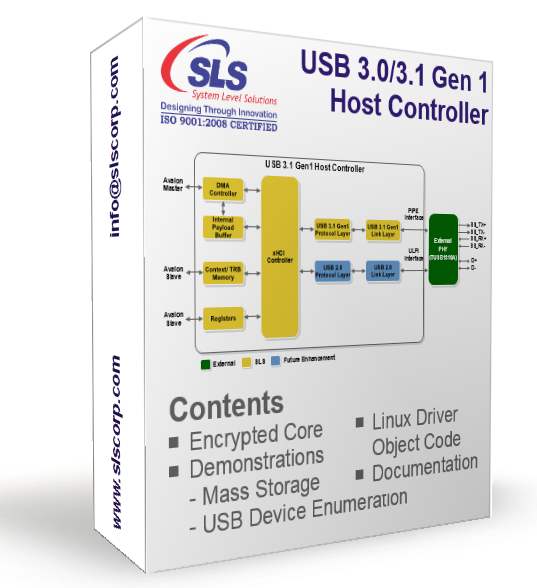 USB 3.1 Gen 1 (USB 3.0) Embedded Host Controller IP Core is a 32-bit Avalon interface compliant core and supports PIPE interface. It has been adapted from xHCI v1.1 specification to be compact to meet embedded application needs. It is provided as Altera Qsys ready component and can be easily integrated in Qsys based system. Note: License can be extended for another month after examining request (Evaluation Now) One (1) Year development license with full version purchase for single project and single site.